The Big Bash League might still be four months away, but it’s never too early to check out where you can bet on the Big Bash League and see the early favourites. With several players already having secured deals at new clubs for the upcoming season, excitement is at fever pitch for what is sure to be the most entertaining season yet. Despite winning the competition last season, the Sydney Thunder are only second favourite to take out this year’s title. The Thunder are paying $5.50 to win the tournament, while the Melbourne Stars are once again favourites, paying $5.00. The Renegades and Perth Scorchers are equal third, at $6.00, while the Adelaide Striker are just behind at $6.50. The Sydney Sixes ($7.00) and Hobart Hurricanes ($7.50) are sixth and seventh respectively, the Heat are being given no chance at the moment, at $10.00. The Big Bash League is sure to be a huge hit once again, with last season breaking all sorts of incredible records. The BBL now ranks inside the world’s top 10 most attended leagues. 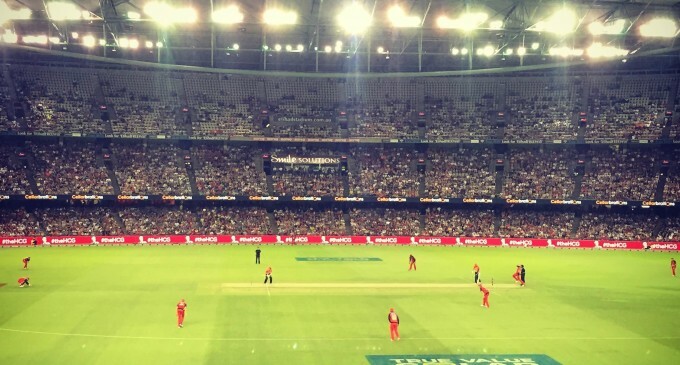 BBL05 had an average crowd in 2015/16 of 28,498, coming in ninth in the world, which is an outstanding achievement for a relatively new competition. The eight sports above the Big Bash League on the list are; the NFL (68,278) German Bundesliga (43,331), US College Football Division I FBL (43,288), English Premier League (36,464), AFL (33,428), Indian Premier League (31,750), Major League Baseball (30,517), La Liga (28,498). Amazingly, Australia has two sports in the top ten, with the AFL having an average attendance of 33,428 per game.